Readers whom have been following my “Can a feudal era General and famed military strategist act as a modern-day Cupid?” series of articles know I have a fairly close tie to the town of Tarui. During my frequent visits there, I usually spend the night at a business hotel in nearby O-gaki (hereafter referred to as Ogaki so I don’t have to bother with the hyphen each time.) Since Route 21 leading from central Ogaki to Tarui is basically one giant strip mall with lots of stoplights and heavy traffic, I usually go north from Ogaki and take the “back road” to Tarui. 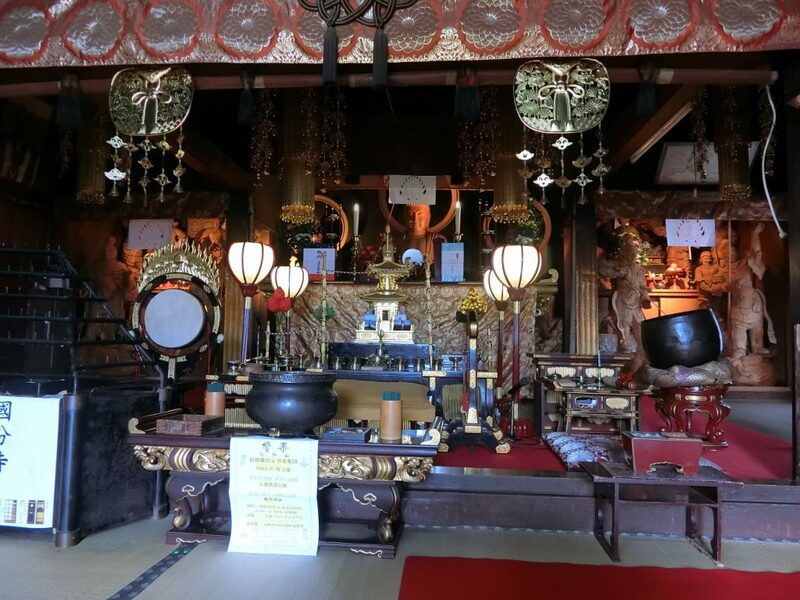 Just before leaving the Ogaki city limits, there is a magnificent temple on the side of a hill about 200 meters north of the highway. 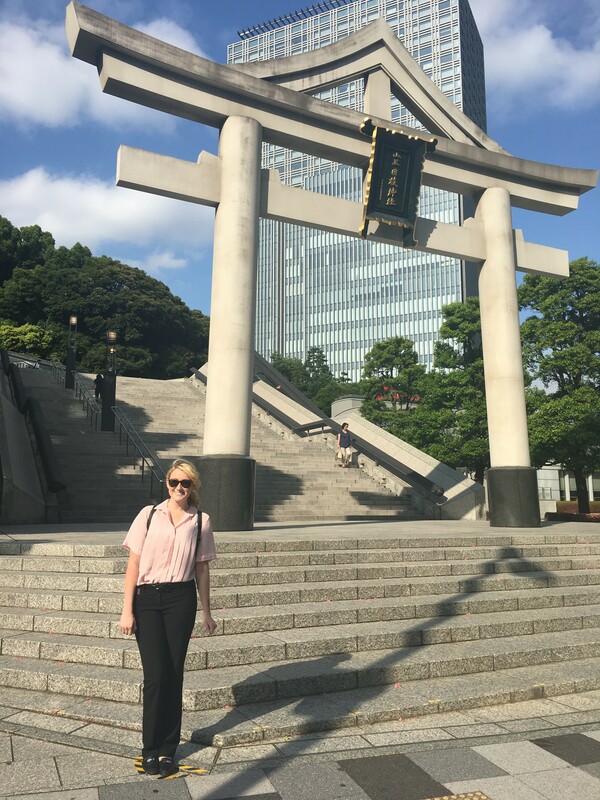 I was especially intrigued by two structures seemingly stacked upon each other, and connected to the main pagoda by a dual staircase. They kind of reminded me of Thunderbird #3. Between the highway and the temple is a rectangular field, kind of like a park. One day I ventured off the highway to take a closer look. 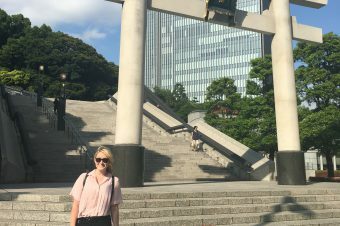 I didn’t go into the temple proper, but I did notice a lot of banners festooned with Hideyoshi TOYOTOMI’s family crest. 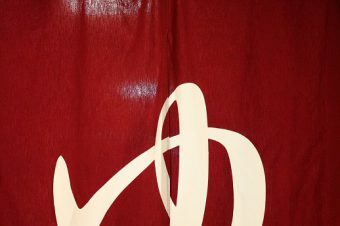 I thought about going in and asking someone about those banners, but decided some weird gaijin appearing unannounced and asking questions about the temple’s history would probably be treated with suspicion, so I decided to wait until my next visit to the region and have JTAST formally arrange a visit for me. 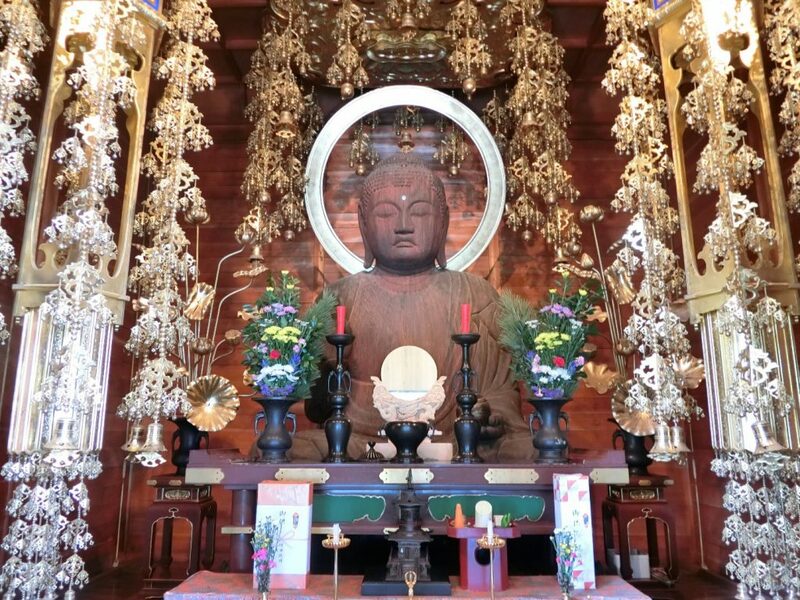 Good thing I did, because this is a very prestigious temple, closely associated with the Imperial Court, having a very remarkable and significant history, and possessing a wooden Buddhist statue which is a designated national treasure not normally displayed to the public. First a little history. The 8th century was a trying one for Japan. The country experienced warfare, famines, and epidemics. In 737 Emperor Shomu therefore ordered each province to commission Shaka Nyorai and Kyoji-Bosatsu statues. In 741, he ordered each province to construct a monastery and a nunnery to house those statues. Each was to be built according to the style of architecture used in China’s Tang Dynasty palaces. 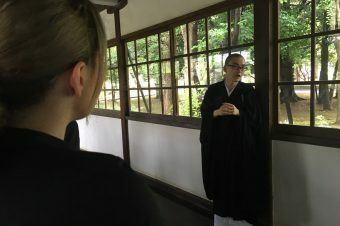 The monasteries and nunneries were to be called Kokubunji (Provincial Temple) and Kokubunniji (Provincial Nunnery), respectively. I suppose when one hears the word Kokubunji, one immediately thinks of the city of Kokubunji in the outskirts of Tokyo, now you know what the name means. There are 60+ Kokubunjis in Japan. 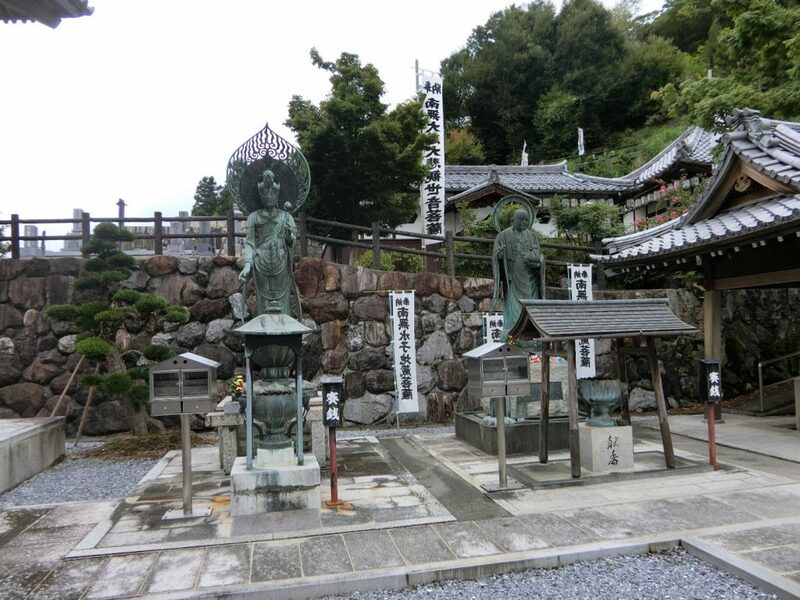 So, this particular provincial temple was named Mino Kokubunji, and housed a Yakushi-Nyorai statue. 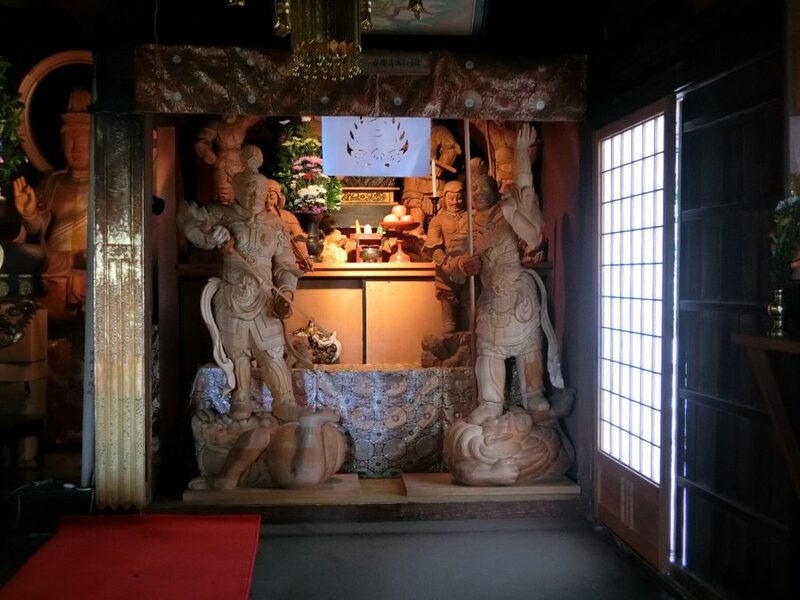 The original iteration of the temple was stunningly beautiful (a model can be seen at the adjoining Ogaki City History and Folk Museum) and even featured a seven story tower, but burned down in 887. The Yakushi-Nyorai statue had long been thought to have been lost in this fire, but was rediscovered intact in 1615. The present-day Mino Kokubunji temple was built, adjacent to the original site, specifically to house this valuable statue. Of course, I didn’t know any of this history when I showed up at Mino Kokubunji. 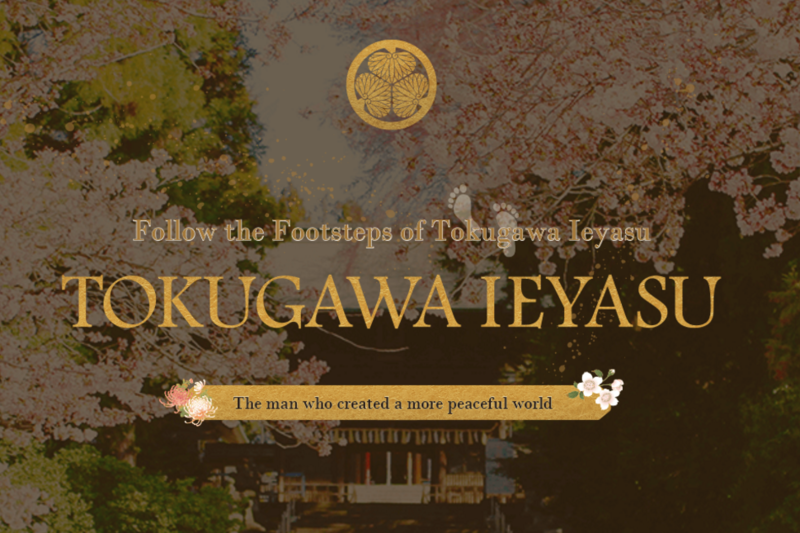 I just thought it was some temple associated with Lord Hideyoshi Toyotomi. Boy, was I ever wrong! The family crest I saw prominently displayed is indeed the same as the one used by Lord Hideyoshi, but this particular crest represents the Emperor Shomu, thereby pre-dating Lord Hideyoshi by about 900 years. The name of the crest is GO-SHICHI-KIRI. It refers to Paulownia tree, and represents flowers and leaves from the tree. However, I was more concerned with how to go about finding the Chief Abbot, Kawai-san. Since JTAST had arranged for my visit, I knew Kawai-san was expecting me, but the temple office was deserted, and no one was present on the temple grounds. I therefore approached the residence adjoining the temple and rang the doorbell/intercom. After stating my name and business, there was a flurry of activity within the house and a young man in casual clothing came to the door. Turned out this was Chief Abbot Kawai-san. Kawai-san warmly welcomed me, then took me to see the interior of the main pagoda. 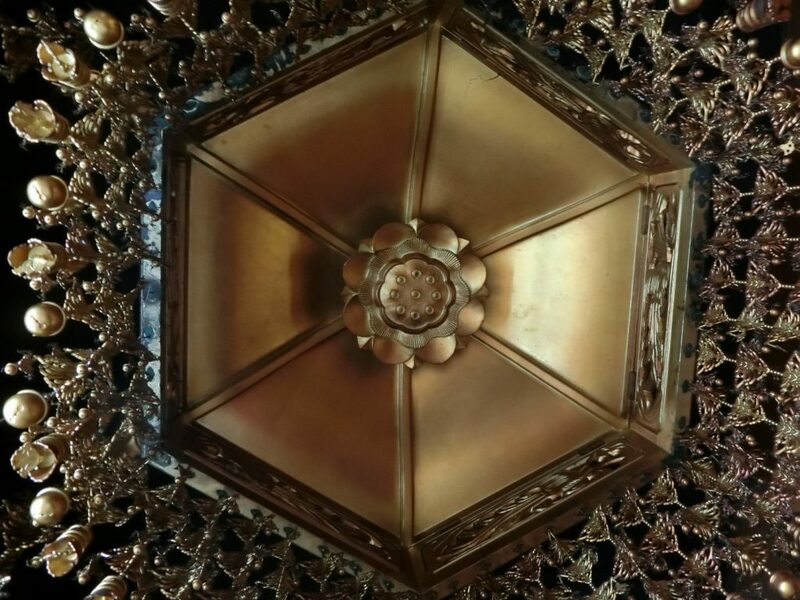 As you can see from the pictures, it is exceeding beautiful and has an ornate chandelier like object hanging from the ceiling. 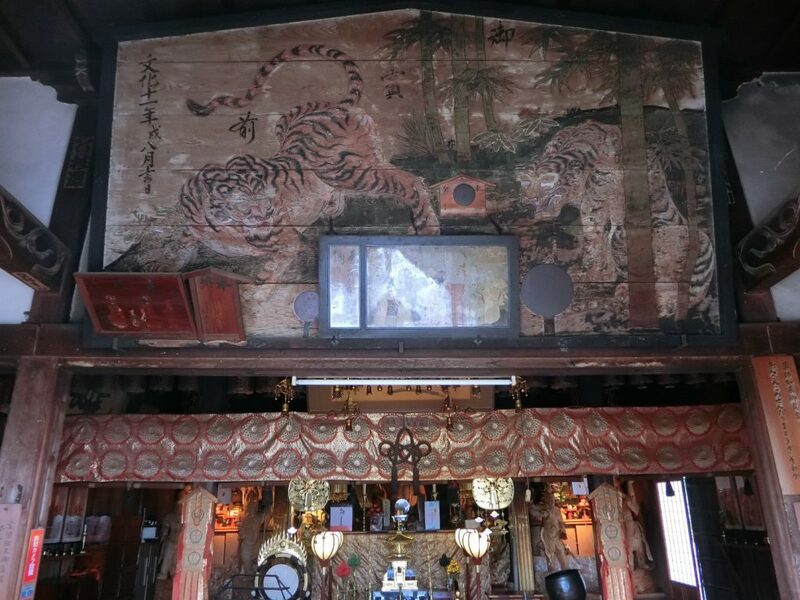 However, the most impressive item is the HUGE tiger painting hung above the entrance hall. It was hard to capture the sheer size of the painting in a photograph, hopefully I did okay. 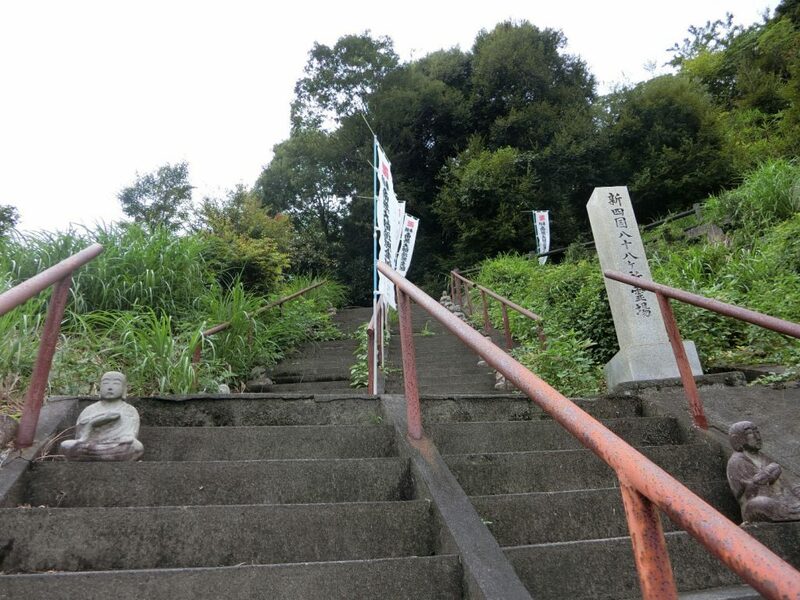 Kawai-san then took me up to the structure housing the Yakushi-Nyorai statue. The statue is not normally available for public viewing. To minimize wear and tear, the statue is only displayed to the general public on the first three days of the New Year, and the 8th day of every month. Kawai-san was kind enough to open up the building and allow me to take some photographs. Should you ever visit Kokubunji and walk up to the building housing this statue, you will notice hundreds of tiny Jizō statues, some decorated with yarn caps and bibs, lining the dual stairways. These are dedicated to unborn children and commissioned by parents whom have had a miscarriage, stillbirth or abortion. 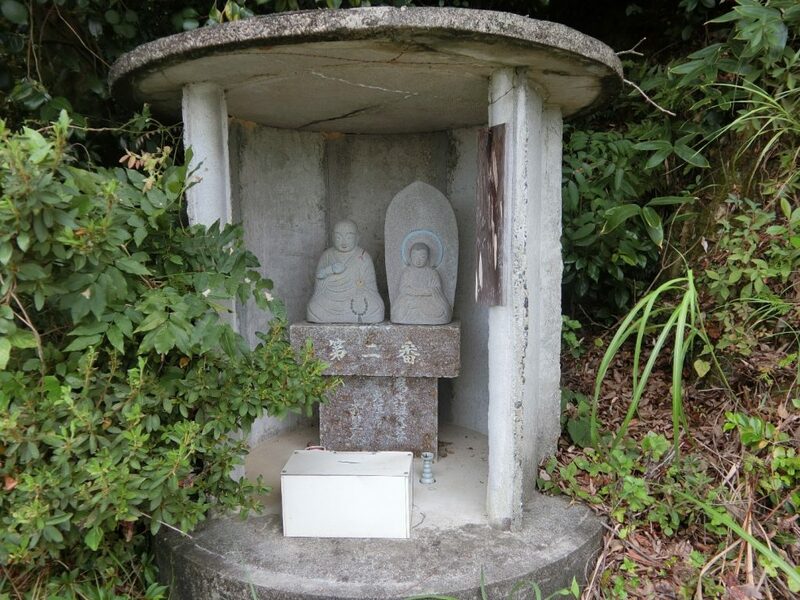 One of the two large statues which I had seen upon entering the temple grounds was a Jizō san as well. Hence the toys and dolls. 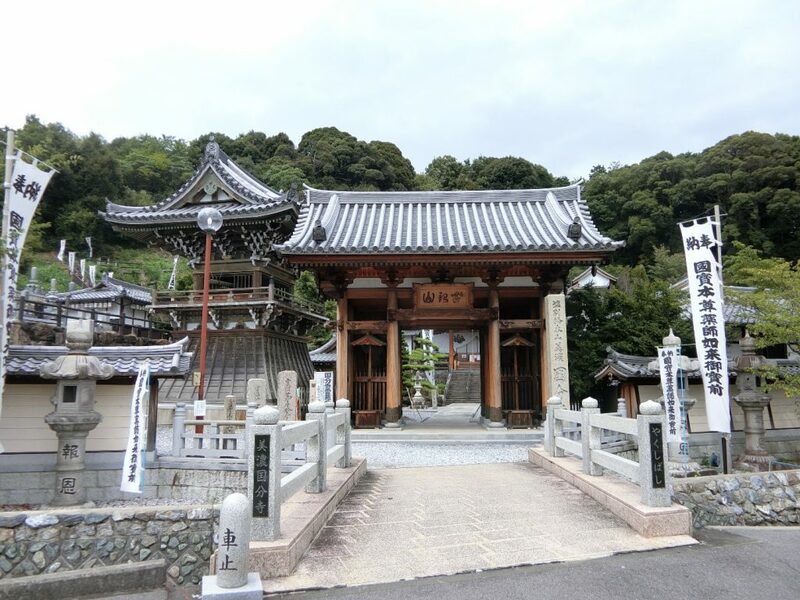 One special feature of Mino Kokubunji is the replication of the Shikoku 88 Temple Pilgrimage, a 1200-kilometer route which normally takes about six weeks to complete on foot. Haven’t got six weeks to spare? No worries! If you can make it to Mino Kokubunji, you can get the same amount of blessing via a 30 minute walk. On the hill to the left of the main pagoda is a flag festooned stairway. 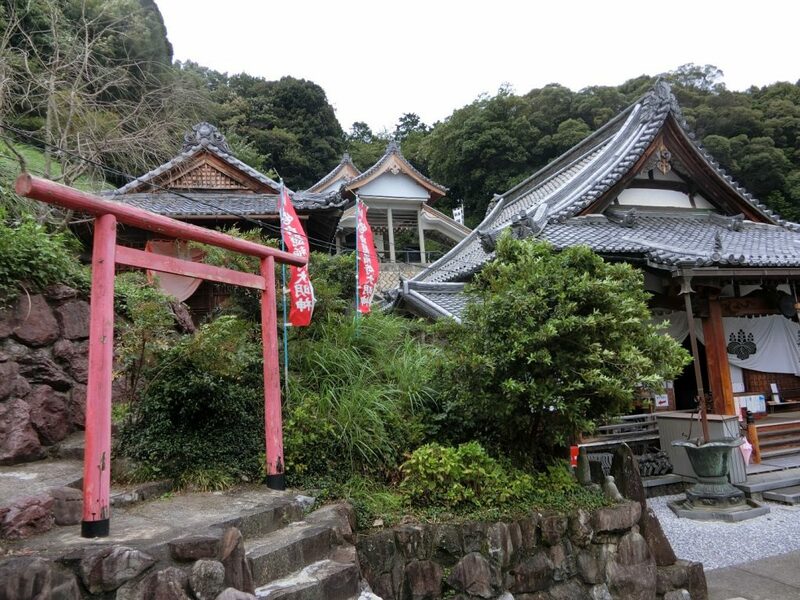 Climb to the top and you’ll see three miniature pagodas, each marked with a sign stating the number and name of the Shikoku temple it represents. Between two of the pagodas is a pathway leading into the bamboo grove where the rest of the miniature pagodas are located. 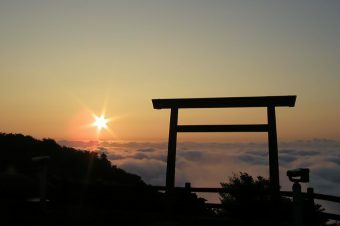 Coming down from the hillside, you will notice a small torii gate, normally associated with Shinto shrines. 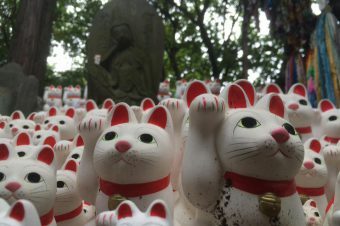 There is a small Oinari Shrine (fox shrine) on the Kokubunji grounds. 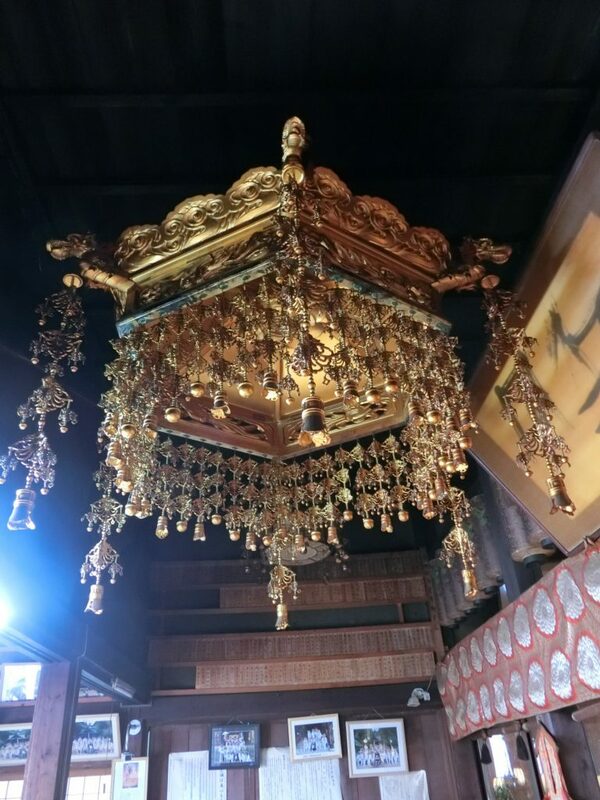 According to Kawai-san, the shrine relates back to time of Kobo Daishi. Two dogs, one white and the other black, guided him while he was looking for a suitable location to establish the Mt. Koya temple. 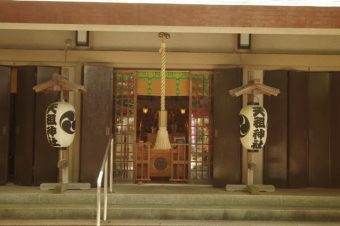 As a result, to this day the Mt Koya Shingon sect honors the local deity. 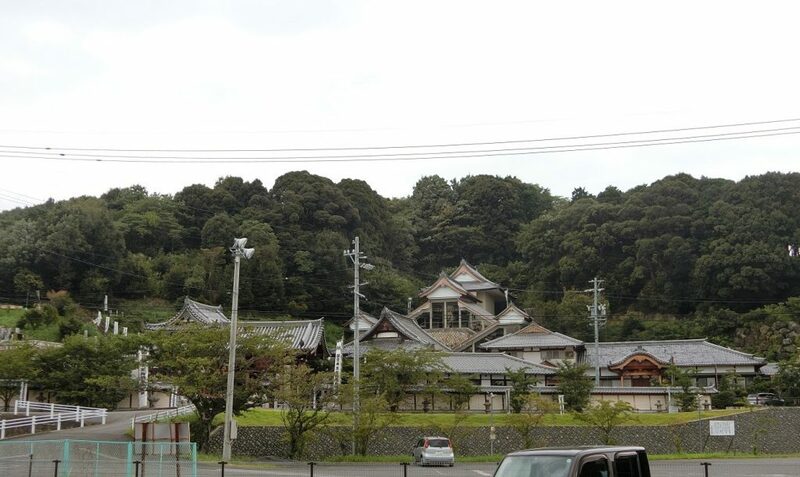 Adjoining the temple is the Ogaki City History and Folk Museum. The museum features a model of the original Mino Kokubunji, and is well worth the visit. Especially if you would like to know how agriculture was conducted in the days of old.